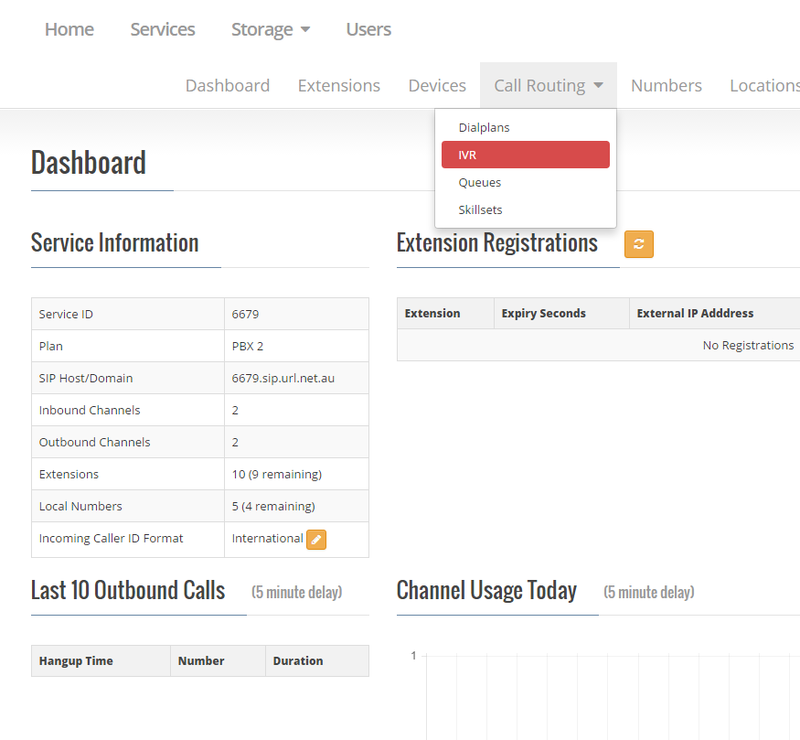 Once you have uploaded a voice recording you may now wish to use this within your IVR (Interactive Voice Response) menu. 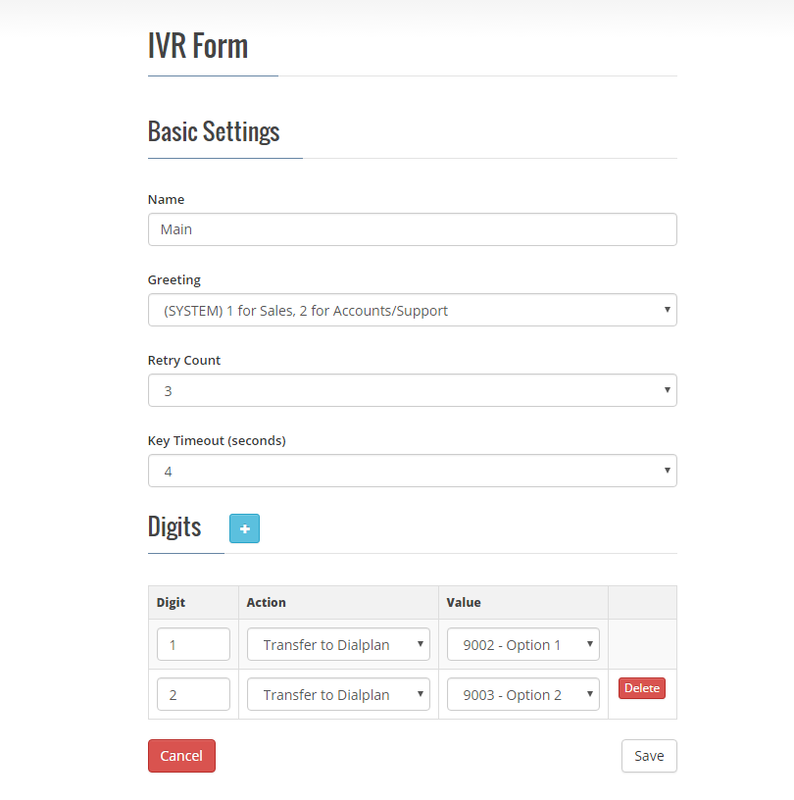 The following IVR Form is for the Main Dialplan. In the greeting section we have selected the appropriate voice recording for what we are trying to achieve. In this instance we are requesting the caller to interact with the telephone system and select if they need to be transferred to either 1 for Sales or 2 for Accounts. Pressing digit 1 achieves the result of transferring the call to extension 9002. Pressing digit 2 achieves the result of the call redirecting to extension 9013.